You have spent a week away from home and have lost track of what your hometown sports teams are doing. You tell yourself, you are on vacation, and you should not be missing them. You have gone a step further and have participated in outdoor sports activities like kayaking and snorkeling. You have made the transition from armchair sports spectator to active sportsperson. 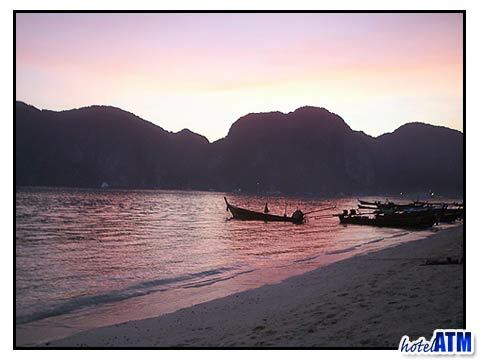 However, at the mention of Thai boxing in Phi Phi Island, your heart skips a beat. 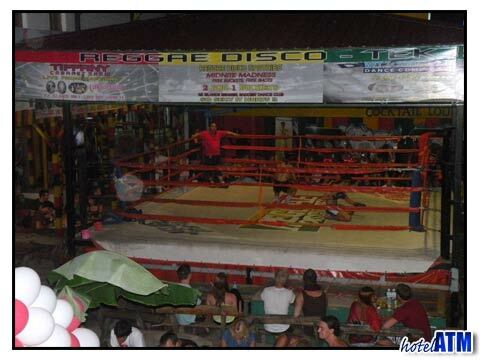 Yes, held every night of the week at the popular entertainment complex, the Reggae Bar, Thai boxing in Phi Phi Island will satisfy your craving for live sports entertainment. What is the history of Thai boxing? Thai Boxing or Muay Thai is a martial art rooted in the history of the Thai people. It developed when as a peaceful people they were invaded and had to protect themselves and fight to keep their land. They developed a type of hand-to-hand combat best utilized on rough terrain. Over the course of time, it became a ritual for all Thai men to take up this training for Muay Thai. Earlier in history, Thai Boxing was not safe as there was no protective gear. The Thai Boxers used cord for gloves. Nowadays, due to a following in the Western World, the 1995 World Muay Thai Council was set up to regulate the sport on international levels. Rules of Muay Thai Boxing? A match is decided by a knockout or by points such as regular American boxing. Three judges are designated to decide who wins the round. The one who wins the most rounds, wins the fight. The referee also overlooks the safety of the boxers. Thai Boxing in Phi Phi Island consists of five three-minute rounds with two-minute breaks between them. If the violence of the sport does not turn you on, then the pageantry might. The fight begins with a wai khru dance, where the boxers honor their teachers. Note the headband and armbands the participants wear. The headband anoints luck on the boxer because it has been blessed by a monk or his teacher. The headband is taken off after the wai khru dance by the boxer's trainer. Observe the beauty of this religious-sociological phenomenon as it is a part of Thai boxing on Phi Phi Island. At The Reggae Bar, on Friday night the purse is real, in addition to the fight. So get there early to get good seats. The boxers are professional and train on Phi Phi Island. So you will be watching real Thai Boxing in Phi Phi Island-not amateurs.